The Ariat Girls Sequin Shoe Tee is a fun tee that is a 100% Cotton crew neck slub jersey tee featuring a two-way sequined horse shoe design! Perfect to wear to the barn, relaxing at home or around town. This top is also easy to maintain, machine wash cold, hang to dry. 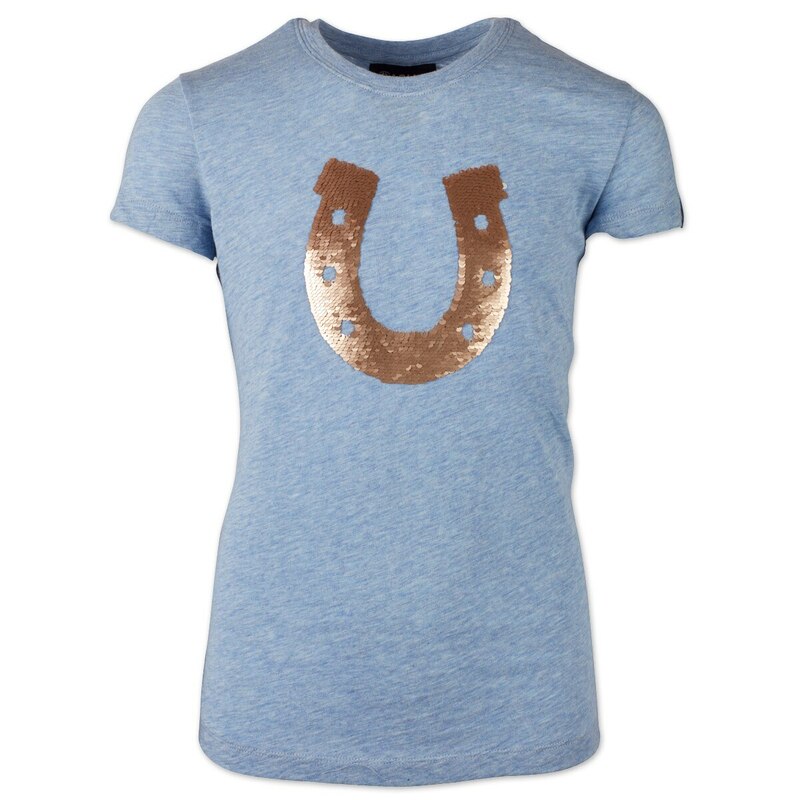 100% Cotton crew neck slub jersey tee featuring a two-way sequined horse shoe design!